Portugal’s Ciência Viva, the National Agency for Scientific and Technological Culture, was created in 1996 to promote the public awareness of science and technology in the country, with a particular emphasis on young people. Since its foundation Ciência Viva has been developing activities along three different and complementary streams: science education (schools), public awareness of science (citizens), and a national network of 20 interactive science centers, run in collaboration with universities and local authorities. The Pavilion of Knowledge, in Lisbon, is the headquarters of the agency and the largest science center in Portugal. Ciência Viva has been promoting several outreach activities as an opportunity to engage new publics and bring the UN’s Sustainable Development Goals (SDGs) to the attention of communities across the country. Aligned with these objectives is “Science in the Summer,” a very popular dissemination campaign that since 1997 has involved thousands of people across the country in free activities organized in partnership with scientific institutions and associations, museums, science centers, and companies. For the celebration of its 20th anniversary, Ciência Viva ventured to organize a scientific cruise on board the caravel Vera Cruz, a replica of a ship used during the Portuguese discoveries of the 15th and 16th centuries. This ambitious project would reflect on the importance of the ocean to Portuguese society, being an excellent opportunity to pursue the dissemination of the UN’s goals and mobilize Portuguese people to face the challenges affecting ocean sustainability. For seven days, eight young scientists (master students) from different fields of expertise (geology, biology, and astronomy) and two journalists (from a national TV channel) worked together with the Portuguese Association of Sail Training (APORVELA) and experienced how Portuguese sailors travelled 500 years ago. The voyage stopped in the harbours of Sines, Lisbon, Ílhavo, and Porto, where science festivals were organized by the Ciência Viva Science Centers, local municipalities, and research centers. On board the caravel the young scientists talked, questioned, and discussed complex issues of sustainability for the 21th century: sea level rise and coastal erosion as a result of climate change and its impacts; conservation and sustainable use of the oceans; microplastics pollution; seas and marine resources for sustainable development, including biotechnology applications from plankton, overfishing, and aquaculture; and the dependencies of the economy and the importance of participating in the public debate in a responsible and conscious way. The mission of the journalists was to contribute to the debate and raise the public awareness for these issues. The young scientists were invited to bring their research equipment on board, so they could collect daily samples along the journey that would be useful for their thesis, thus effectively engaging in a scientific cruise. They worked every day on their topics while also being part of the ship’s crew; a two watch system (4 hours during the day and 3 hours during the night) was set up, with scientists performing sailor’s activities and dealing with harsh ocean conditions. This routine was interrupted in each harbour, where—in the ship’s wheelhouse—they hosted a day of hands-on workshops, displaying their scientific equipment and illustrative posters of their research, as well as interacting with the public in face-to-face communications. More than 8,000 people from different ages and nationalities visited the caravel during its journeys. 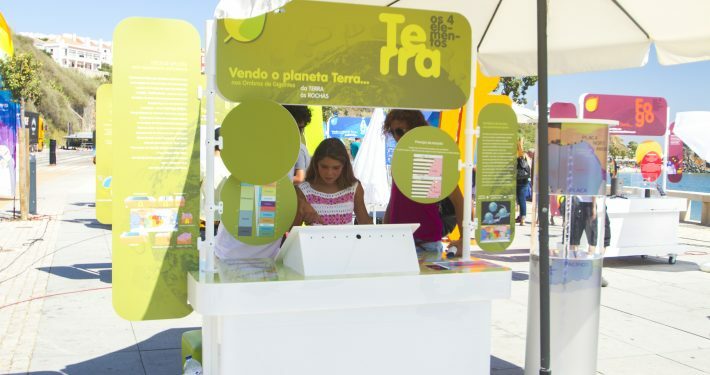 At the same time, on land, outdoor science festivals where organized with a range of experiences for the public, promoting sustainable use of terrestrial ecosystems and oceans; more than 12,000 people visited the science festivals. 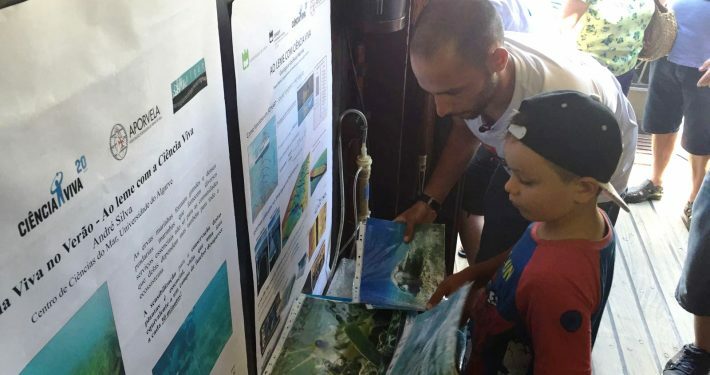 During the cruise, daily information was disseminated through social networks, a blog, the digital channels of Ciência Viva, and broadcasts of the project’s media partner, so the public could get a glimpse of the experience of the young researchers; this was also was an opportunity to raise awareness for the sensible issues affecting the sustainability of our planet.